Nokia Software Updater for Retail is a Nokia Software Update utility which makes it easy for the retail stores and Nokia Care staff to update the phone software easily and without any technical knowledge required. That’s why we also recommend that end users who want to update their phones should use NSU for Retail instead of Nokia Care Suite as Care Suite is a pretty advanced software which may result in dead devices if not used properly. 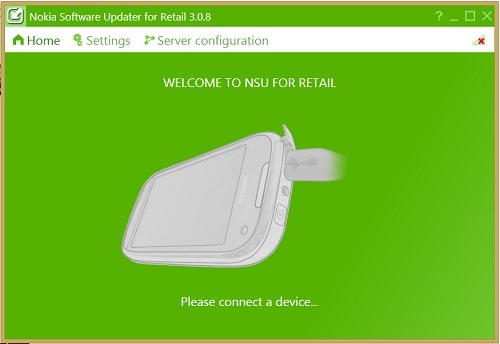 NSU is able to update/flash any new Nokia phone released in the market. Updates to NSU keep on coming as new devices are released. We’ll keep this post updated to provide the latest versions of NSU for Retail as long as it is being developed. So good if you bookmark the post and come back to check for the availability of a new version. 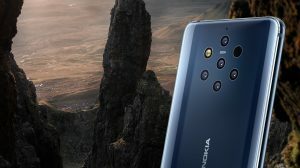 Here’s our assurance that the files provided here are not modified in any way and are exactly the way Nokia supplied them. Below are the released versions of NSU with newer at Top. For tutorials on updating or how to flash info, kindly search around, otherwise updating using NSU is the easiest task ever. Although we assure that these are official files, we should not be held responsible if you end up bricking up you phone due to any reason, be it malfunctioning of drivers or disconnection of phone during the flashing process. Allows printing of customer receipt after update. Recovery Drivers added to recover Dead/Unresponsive Lumia WP8 device. Optimized Installer for ~30MB reduction in size. Dead phone recovery for WP8 devices that do not boot up correctly. Bug fixes for errors found after 3.0.8.
im using Microsoft lumia 535,i want to downgrade windows 10 to 8.1,,please help. Which phone are you using, buddy? It does not work even after reinstalling the phone software? 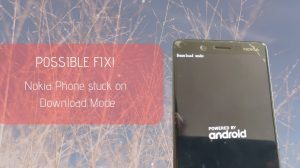 After downloading the software,does it require internet connection to update the phone? Yes, it still needs to download the full firmware file before it can flash the device. You need to select No Connection and the Open Product to flash a dead phone. Make sure you have the latest firmware downloaded on your PC. I need help with my nokia asha311, It cannot be detected by my computer. It used to at first, It started by showing the USB as if it was plugged even though it wasn’t, then the device would just stop functioning, then reconnect again until it stopped working (as the problem still remains). My phone started giving me problems ever since I updated my software to v5.92 (If I’m correct) via OTA, I can’t update it to v7.36. Can anyone tell me why the phone is unable to connect? And what can I do to resolve this issue? when i reset my phone, in the middle of progress getting stuck,, please is there any solutions? Restart from the beginning again? You have to use the windows phone recovery tool. It happened with my Lumia 520. Then I used this software. Don’t worry if the the program don’t recognize your phone. There two options: Lumia and htc. Choose one and it will find your phone. But you must have internet in your pc. I hope it can be a help. Lollipop is not available for the Nokia X series. Hey bro Arter my update to win 8.1 denim my phone is contiounsly restarting can i roll back to black??? That cannot be done using NSU, but you can use Navifirm and NCS. But what phone is it? That isn’t something supposed to happen. Bro, I have lumia cyan and I updated my software with the latest version nokia software updator for retail.After downloading and installing my update I checked extras+info for details,,Its not lumia denim…..its cyan.what should i do? Nokia software updator says that ” you can install software version 3058.50000.1425.0003 to your phone ” that means lumia cyan. Is there any cure for it?? Vaisak try to reset your phone go to Setting>about>reset your phone. (Remember back your file up before reseting your phone). If it did not work then download Lumia Software Recovery Tool IN YOUR COMPUTER http://go.microsoft.com/fwlink/?LinkID=525568. (Again Back your files u[ before recovering your phone) install it and follow the instructions. Hope this may solve your problem :). I want to upgrade 8.1in my lumia 520 ,so can you plz let me know whats the producer of degradation .. If you go to Settings> Phone update, doesn’t an update notification pop up? I want to upgrade 8.1in my lumia 520 ,so can you plz let me know whats the producer of Up gradation .. Flash the same software package that was installed to your phone. Any other just won’t work. I have a nokia lumia 920 which just went off 4 days ago. And am told its because I did not update the software (firmware). Is it true or its something else? No. Not updating won’t do anything to your phone. You should visit a Care Center if it is not working. can i update 6303 classic software? Depends if you already have the latest one or not. Which phone is it? And can you mention the product code please? It should be on the label under the battery starting with 059. Can u tell me how can i install downloaded game in memory card …..i tried to play spiderman it works ….i paste data file in data folder of memory card…..
What goes wrong….and how spidey works??? Use Care Suite to flash it onto the phone as NSU is giving problems. Try recovering the phone using Nokia Care Suite. Maybe. I am not sure. How about try and see? I installed 4.2.1 and it needs ID and pass to log in. How do I get those? Please, suggest me how do I flash it now……..??? I meant just do a clean software update again using NSU. I update my phone Lumia 620 with NSU but after updating, i am having problem with touch screen..The touch screen is not working any more, What should i do in such situation…………………………………………………….??????????????????? can i update my asha 503? Bro,I’m a Lumia 620 user.. I already download the latest firmware for this handheld with NSU.. But when it want to install the firmware the errors message comes…. It says : InternalError.. Can you give some enlightment?? Thanks bro… I live at Indonesia and my phone storage still have 1,6Gb free..
is this sftware useful for updating my nokia 5130 xprss..??? I tried to update my nokia X2..but when the update is about to install its says “Error code internal error” and can’t proceed further…plz gv some solution fr d issue..
Have you checked the box that says delete data? Or uncheck if it says don’t delete data. Hi, I am trying to update my asha 501 using NSU 4.1.0, the files have only downloaded half way,,it doesn’t proceed. wot do i do? i have enough bundles. Delete the files and download them again. 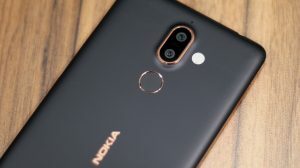 Bro..among nokia suite,nokia care suite and nokia software updater which one will be best for updating ash 308?….what is the difference between the three softwares? I’d recommend Nokia Software Updates as it does full flashing just like NSU, but is easy to use. Nokia Suite is like half worked. Issues go unsolved even after re-flashing. hey bro, I’d like to know if it will update my Nokia 1020, since it has some features blocked by my carrier. It’s without simlock, but the carrier didn’t delivered the latest firmware yet. As my phone is still a new in the market, I’m afraid that it still doesn’t have support for my device. You’re out of luck even if you reflash the phone using NSU. The software will flash the phone with the same ROM as approved by your carrier for your product code. So you won’t be able to get ahead of that. However, if you want to, you can try flashing a firmware from an international product code, but that’s upto you as you can lose the Warranty by doing that. and i cant pass from here, any suggestion? Hey.. m tryin to flash my Lumia 720 device…. under the preferences tab.. there is no English-india or sumthin.. now my question is.. if i will flash it with US rom.. will it affect my warranty?? You cannot flash it with US ROM. It will only download the firmware as defined by the product code and not just anything. So even if its a US version, it will only download the firmware package which is provided for your particular phone. Sure.. But maybe there is no new update available for 311. I used it for my nokia asha 501 and C5-00 but each time after downloading the update file it shows some sort of internal error. Please help! i have nsu for retail installed but nothing happens when i connect phone to pc. what am i NOT doing right??? i switched phone off then attached to pc , worked then. Ah? You can use softwares such as Navifirm to download firmwares if you don’t want to keep sitting there with phone connected. What about the gd3 i see available now for developers??? About GDR3, yes its now being pushed to developers. Non developers can also get it if they have an active App Studio account and then downloading the Preview application. But as they warn, the handset might go out of waranty and the user won’t be able to revert back. I also suspect that it won’t be possible to receive Manufacturer level software improvements after that. So basically you receive GDR3, but without any enhancements from Nokia’s bittersweet shimmer update. Thank for the info bro 🙂 Can i update it ???? is it safe to update 🙂 ? I tried reinstalling the firmware but there it shows an error. What to do ??? Error is something like 0x8008XXXXX (ERROR_device_not_Supported) ???? Huh? But it supports Asha 501. Maybe some missing drivers? Try reinstalling NSU 4.1.0. Find your product code on Navifirm. Or else use Data Package Manager. Put it in the NSU’s packages directory and open NSU. You can then flash your phone. hello…While trying to install the updates Its showing an error 0X80131500 ….i am using Lumia 920… What to do…..how to recover my phone..Please Help. I cant update my nokia asha 501 software how can i update it? Which phone? The software will detect it. Just choose my phone does not start up.